We are looking for actors, singers, tumblers, stage combatants and volunteers to portray Queen Eleanor of Aquitaine, King Henry II of England, King Louis VII of France and various characters for the Living Chessboard. Auditions will be held at the North Central Florida YMCA located at 5201 Northwest 34th Boulevard in Gainesville. Please check out the show synopsis and the characters! If you'd like to fill out the audition form ahead of time, please feel free to use this fillable form. 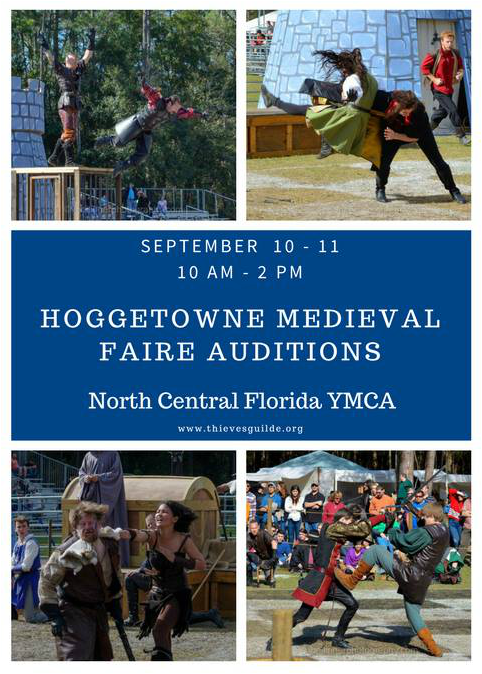 If you have questions about auditioning, volunteering, or anything else in regards to the 2016 Thieves Guilde Production for the Hoggetowne Medieval Faire please feel free to use this form to contact the production team.